You are not logged in. 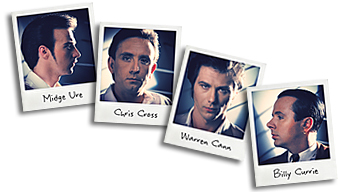 [Log In] Ultravox.org.uk » Forums » Music » Billy Currie » So....whats new? #101091 - Mon, 11 Feb 2019 07:04:32 So....whats new? Hi, just wondering if any of you know what Billy is up to these days? I wonder if we will see new materiale soon? Or ever? His website hasn't updated for nearly two years, so nothing seems to be happening.